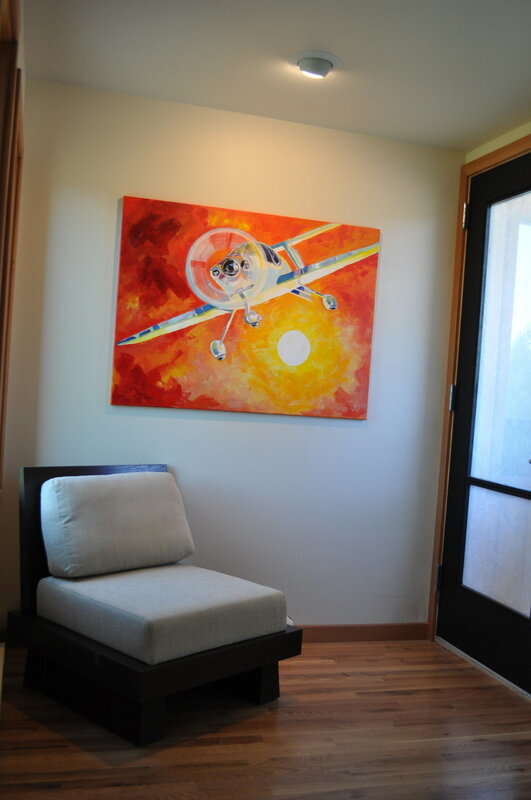 Eagle Port Lodge is conveniently situated at Seeley Lake's airport. Promising a unique and beautiful vacation experience, it easily accommodates such varying occasions as a newlywed getaway, a family reunion, even a corporate retreat. Guests using private planes will find them royally housed in the spacious hangar beneath four of the building's lodging units. 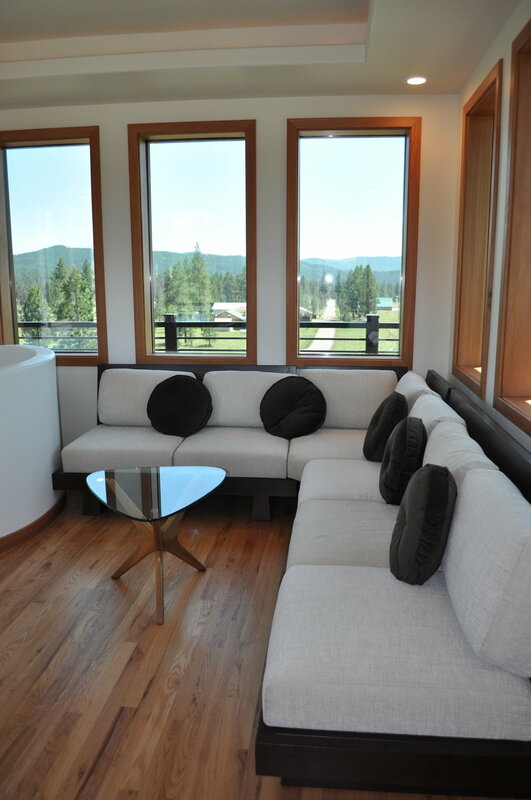 Of these, each one contains a stylishly-furnished entertainment and living area, a cozy fireplace and a full kitchen. A multi-story fifth unit occupies Eagle Port's Tower. The building's signature design feature, it is this structure whose soaring elegance and sweeping views of the surrounding valley cause so many of its guests to return. In addition to its 40' by 80' guest hangar, Eagle Port's ground floor also contains a large common lobby for entertaining guests, a bathroom, an office space and an outdoor barbeque. Equipped, of course, with comfortable chairs, it possesses all the comforts of home. Each resident will be free as well to enjoy the daily use of all the amenities located at its sister resort. For just a few miles away you will find out lakeside beach, our entertainment lodge, our fire ring, our many boats. You will be asked to check in at the Lodges' Office on Boy Scout Road. There you will receive a key, a map and any information you might need for the duration of your stay. Welcome and enjoy your visit with us! We do not allow pets, we are sorry for the inconvenience.